55 Christopher St, New York, NY 10014. 2100 Garson Road, Reno, Nevada 89439. Exchange Park 9850 Highway 78. Admission: $65. 600 Main St,. 315 West 44th St, New York, NY 10036. 1100 W. Pima Mine Road. Haugesund International Jazz Festival, Box 145,. 1220 Nathan Ellis Highway, Route 151. 30 North Van Brunt Street. World of Monk, 8:00pm 60th St & Broadway, New York, NY 10023. Count Meets the Duke, 8:00pm 60th St & Broadway, New York, NY 10023. 82 West 3rd Street, New York, NY 10012. Celebrating Ella: The First Lady of Jazz, 8:00pm 60th St & Broadway, New York, NY 10023. Buddy Rich Centennial: Celebrating the Jazz Drum, 8:00pm 60th St & Broadway, New York, NY 10023. Free To Be: Jazz of the ‘60s & Beyond, 8:00pm 60th St & Broadway, New York, NY 10023. Jazz of the ‘50s: Overflowing with Style, 8:00pm 60th St & Broadway, New York, NY 10023. Dizzy Gillespie Festival: Celebrating Dizzy Gillespie, 8:00pm 60th St & Broadway, New York, NY 10023. Big Band Holidays, 8:00pm 60th St & Broadway, New York, NY 10023. Calle 28 Norte Mza 10, Lote 8, Centro, Gonzalo Guerrero. The Swing Era: Revolution in Rhythm, 8:00pm 60th St & Broadway, New York, NY 10023. Family Concert: Who is Count Basie?, 1:00pm 60th St & Broadway, New York, NY 10023. The Jazz Age: Untamed Elegance, 8:00pm 60th St & Broadway, New York, NY 10023. Handful of Keys: A Century of Jazz Piano, 8:00pm 60th St & Broadway, New York, NY 10023. Abyssinian Mass JLCO with Wynton Marsalis and Chorale Le Chateau, 8:15pm 31 Roberts Ave. 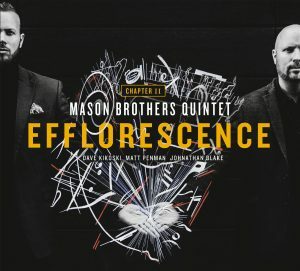 The Mason Brothers Quintet will be releasing their highly anticipated second album, ‘Efflorescence’ at Dizzy’s Club Coca-Cola. 2 sets, 7:30pm & 9:30pm. Featuring a fresh cast of today’s finest jazz musicians to premier their new works: Elliot Mason – Trombone, Brad Mason – Trumpet, Dave Kikoski – Piano, Matt Penman – Bass, Ali Jackson – Drums, 7:30pm Admission: $15 – 30. 60th St & Broadway, New York, NY 10023. Tonight we honor legendary trombonist J.J. Johnson, with trombonists Vincent Gardner and Elliot Mason, trumpeter Derrick Gardner, alto saxophonist Sherman Irby, bassist Gerald Cannon, and drummer Ali Jackson, 7:30pm Admission: $35. 60th St & Broadway, New York, NY 10023. The JLCO will be playing the music of Chick Corea, featuring Chick Corea, 7:00pm 418 Sheridan Road HIghland Park IL USA. The Ray Charles Songbook: Featuring Alumni from the Ray Charles Band. Special guests include: Diane Schuur & Bill Sims, 8:00pm Admission: $40 – $130. 60th St & Broadway, New York, NY 10023. Miles Davis: The Sorcerer at 90, 8:00pm 260 South Broad Street on the Avenue of the Arts Philadelphia PA USA. Miles Davis: The Sorcerer at 90, 8:00pm 60th St & Broadway, New York, NY 10023. Music of The Masters: Duke Ellington and George Gershwin, 7:30pm Admission: $20. Box office: (704) 372-1000. 430 S Tryon St.
Jazz in The Key of Life: Music Of The ’60s And ’70s, 7:30pm Admission: $20. Box office: (704) 372-1000. 430 S Tryon St.
World on A String: Swinging Songs of Broadway, 8:00pm 60th St & Broadway, New York, NY 10023. Spaces by Wynton Marsalis, 8:00pm 60th St & Broadway, New York, NY 10023. Benedict Music Tent, 8:00pm Gillespie Street. The Music of Puente, Machito & Henriquez, 8:00pm 60th St & Broadway, New York, NY 10023. Wayne Shorter, 8:00pm 60th St & Broadway, New York, NY 10023. Kennedy Center, 8:00pm 2700 F Street NW Washington DC. Celebrating Joe Temperley: From Duke to the JLCO, 8:00pm 60th St & Broadway, New York, NY 10023. Carpenter Theatre, 8:00pm 600 E Grace St..
Mayo Performing Arts Center, 8:00pm 100 South Street. Jazz across the Americas, 8:00pm 60th St & Broadway, New York, NY 10023. University of Michigan, 8:00pm 825 North University Avenue Ann Arbor MI. Symphony Center, 8:00pm 220 South Michigan Avenue Chicago IL. Massey Hall, 8:00pm 178 Victoria Street Toronto ON. Duke, Dizzy, Trane, & Mingus: Jazz Titans, 8:00pm 60th St & Broadway, New York, NY 10023. Birth of the American Orchestra, 8:00pm 60th St & Broadway, New York, NY 10023. Big Band Holidays, 8:00pm 260 South Broad Street on the Avenue of the Arts Philadelphia PA USA. Big Band Holidays, 8:00pm 1280 Peachtree Street NE, Atlanta, GA 30309. Big Band Holidays, 8:00pm 216 Westcott Building, 222 S. Copeland Street. Big Band Holidays, 8:00pm 2301 Flora Street. 350 5th Ave, New York, NY 10118. Big Band Holidays, 8:00pm 115 Auditorium Circle. Big Band Holidays, 8:00pm One Center Green. Big Band Holidays, 8:00pm 2420 Nicolet Dr.
Family Concert: Who is Tito Puente?, 1:00pm 60th St & Broadway, New York, NY 10023. Ruben Blades, 8:00pm 60th St & Broadway, New York, NY 10023. The Brazilian Duke Ellington, 8:00pm 60th St & Broadway, New York, NY 10023. Théatre Capitole, 8:00pm Théatre Capitole 972, rue Saint-Jean. Hopkins Center of the Arts, 8:00pm 2 East Wheelock Street Hanover, NH 03755 USA. The Paramount Theatre, 8:00pm 30 Center Street. Haas Center, 8:00pm 400 East 2nd Street. Memorial Hall, 8:00pm 208 Cameron Avenue. CB# 3233 Chapel Hill NC USA. Schermerhorn Symphony Center, 7:30pm One Symphony Place. Germantown Performing Arts Center, 7:30pm 1801 Exeter Road. Jazz at The Bistro, 7:30pm 3536 Washington Avenue. Whitney Hall, 8:00pm 501 West Main St..
Van Meter Hall, 8:00pm Western Kentucky University, 1906 College Heights Blvd..
Leighton Concert Hall, 8:00pm 100 Performing Arts Center. Krannert Center, 8:00pm Foellinger Great Hall, 500 S. Goodwin Ave.
Kansas State University,, 8:00pm 211 McCain Auditorium. Lied Center of Kansas, 7:30pm Admission: $19 – $50. 1600 Stewart Drive. Chucho Valdés, Pedrito Martinez, & Wynton Marsalis, 8:00pm 60th St & Broadway, New York, NY 10023. The Mason Brothers Quintet will be recording their highly anticipated second album, Chapter 2: Efflorescence, at Dizzy’s Club Coca-Cola. Please come join us & be a part of the live recording. 2 sets, 7:30pm & 9:30pm. Featuring a fresh cast of today’s finest jazz musicians to premier and record their new works: Elliot Mason – Trombone, Brad Mason – Trumpet, Dave Kikoski – Piano, Matt Penman – Bass, Johnathan Blake – Drums, 7:30pm Admission: $20 – $30. Box office: (212) 258-9595. 60th St & Broadway, New York, NY 10023. Featuring: Kenny Rampton (Trumpet/Cornet) Elliot Mason (Trombone) Bill Sims Jr. (Guitar/Vocals) Sherman Irby (Alto/Flute) Donny McCaslin (Tenor/Soprano) Brian Charette (Organ/Piano) Daniel Stein (Acoustic Bass) Tony Mason (Drums), 9:30pm Admission: $10. 183 West 10th Street, New York, NY 10014. Marciac Suite, 11:00pm Admission: €36 – €56. 5 Chemin de Ronde. Village Square Glen Cove, NY 11542. Newport Jazz Festival, 10:30am Admission: $40 – $84. Fort Adams State Park. State Theatre, 8:00pm Admission: $35 – $85. 15 Livingston Ave.
Filene Center, 8:00pm Admission: $25 – $48. 1551 Trap Road. Longwood Gardens, 7:30pm Admission: $45 – $75. 1001 Longwood Road. Saenger Theatre, 8:00pm 118 South Palafox Place. Atlanta Symphony Hall, 8:00pm 1280 Peachtree Street NE, Atlanta, GA 30309. SummerStage Presents: Queens Family Day, 4:00pm Queensbridge Park Greenway. The Freeman Stage, 8:00pm Admission: $45 – $75. 31750 Lake View Drive. Featuring: Elliot Mason – Trombone, Brad Mason – Trumpet, Dave Kikoski – Piano, Matt Penman – Bass, Clarence Penn – Drums, 10:00pm Admission: $10. Box office: (212) 929-9883. 55 Christopher St, New York, NY 10014. All Jazz is Modern, 8:00pm Admission: 5.900 kr. – 13.900 kr.. Austurbakki 2. The Best of Blue Note Records, 7:30pm Admission: £20 – £35. Barbican Centre Silk Street London EC2Y 8DS. Music from Pakistan, 8:00pm Admission: £20 – £35. Barbican Centre Silk Street London EC2Y 8DS. 140 W. Mt Royal Ave. The Best of Blue Note Records, 7:30pm Admission: £12 – £32. Lothian Rd. The Best of Blue Note Records, 7:30pm Admission: £29.56 – £39.78. Colston Street. The Best of Blue Note Records, 7:30pm Admission: £19.50 – £35. Symphony Hall Broad Street. The Best of Blue Note Records, 7:30pm Admission: £27 – £37. Lower Mosley Street. The Best of Blue Note Records, 7:45pm Admission: £35. Churchill Way. The Best of Blue Note Records, 7:30pm Admission: £34.50 – £44.50. 2 Wheeler Street. The Best of Blue Note Records, 8:00pm Admission: £22 – £90. Ripon Road. Live at the Woodlawn Cemetery, 7:30pm Admission: Free. 517 E 233rd St.
Modern Ellington, 8:00pm 60th St & Broadway, New York, NY 10023. This performance is dedicated to the victims of the Flooding in Serbia, Bosnia & Croatia. There will be no ticket charge, you will be able to donate the money at the concert, any support is appreciated. Featuring: Sofija Knezevic – Vocals, Elliot Mason – Trombone, Rodney Green – Drums, Luques Curtis – Bass + Special guests, 7:00pm Admission: Free. Box office: ( 212 ) 929-9883. 55 Christopher St, New York, NY 10014. JLCO Hosts: Christian McBride & Kurt Rosenwinkel, 8:00pm 60th St & Broadway, New York, NY 10023. The Mason Brothers Quintet will be performing new music, plus music from ‘Two Sides, One Story’. Featuring some of todays renowned soloists: Dave Kikoski – Piano, Johnathan Blake – Drums, Elliot Mason – Trombone & Bass Trumpet, Brad Mason – Trumpet., 7:30pm Admission: $20 – $30. Box office: (212) 258-9595. 60th St & Broadway, New York, NY 10023. The Life & Music of Dave Brubeck, 8:00pm 60th St & Broadway, New York, NY 10023. JLCO Hosts: Mulgrew Miller & Kenny Garrett, 8:00pm 60th St & Broadway, New York, NY 10023. Family Concert: Who is Dave Brubeck?, 3:00pm 60th St & Broadway, New York, NY 10023. Family Concert: Who is Dave Brubeck?, 1:00pm 60th St & Broadway, New York, NY 10023. 55 US 50 Lake Tahoe, NV 89449. JLCO Fresh Sounds, music from Ted Nash & Victor Goines, 8:00pm 60th St & Broadway, New York, NY 10023. 250 Post Ave, Westbury, NY 11590. 148 Thunder Lane, Thorpe St Andrew, Norwich NR7 OJD. Sofija Knezevic Quintet – Featuring Elliot Mason, 9:30pm Admission: $20. 34 West 22nd Street. Sachal Jazz Ensemble & JLCO performing music from Pakistan, 8:00pm 60th St & Broadway, New York, NY 10023. Abyssinian: A Gospel Celebration, 8:00pm 60th St & Broadway, New York, NY 10023. Harvard Lecture: Setting the Communal Table: The Evolution of the Jazz Orchestra, 7:30pm Memorial Hall, 45 Quincy Street. JLCO – Featuring Ahmad Jamal, 8:00pm 60th St & Broadway, New York, NY 10023. The JLCO will be performing America the Beautiful at the Giants vs Broncos game, 4:25pm 1 MetLife Stadium. Janek Gwizdala Band – Featuring: Elliot Mason, Nir Felder, Bob Franceschini & Louie Palmer, 10:00pm 55 Christopher St, New York, NY 10014. Directed by David Weiss, featuring: Tim Green – Alto, Marcus Strickland – Tenor, J.D. Allen – Tenor Sax, Norbert Stachel – Baritone, Elliot Mason & Joe Fiedler – Trombone, Jeremy Pelt & Augie Hass – Trumpet, Geri Allen / Xavier Davis – Piano, Dwayne Burno – Bass, Nate Smith – Drums, 7:30pm Admission: $35-$45. 60th St & Broadway, New York, NY 10023. 1 Center St Newark, NJ 07102. 2301 North Highland Avenue Hollywood CA USA. Admission: Free. 525 Washington Blvd. 183 West 10th Street, New York, NY 10014. Admission: Free. 73 Market St.
220 South Michigan Avenue Chicago IL. JLCO – Performing ‘Swing Symphony’ with the New York Philharmonic, 6:45pm 132 West 65th Street New York, NY 10023. -Dave Kikoski Piano -Orlando Le Fleming Bass -Johnathan Blake Drums, 12:00pm Admission: Free. 350 W 50th St, New York City, NY 10019. -Dave Kikoski Piano -Ali Jackson Drums -Carlos Henriquez Bass, 10:00pm Admission: $10. 55 Christopher St, New York, NY 10014. JLCO – Featuring Chick Corea, 8:00pm 60th St & Broadway, New York, NY 10023. JLCO – The music of Ellington, 8:00pm 60th St & Broadway, New York, NY 10023. 3511 Pacific Ave. Stockton CA USA. 1801 East Cotati Ave. Rohnert Park CA USA. University of California – Davis, Jackson Hall One Shields Avenue Davis CA USA. 101 Zellerbach Hall Berkeley CA USA. 1030 Main Street Napa CA USA. 73-000 Fred Waring Drive Palm Desert CA USA. 147 Bleecker St New York, NY 10012. 1 Grand Avenue San Luis Obispo CA USA. 1073 Wisconsin Ave NW Washington, DC 20007. 111 South Grand Avenue, Los Angeles, CA 90012. 1020 E. University Blvd. Tuscon AZ USA. 1 East Main Street Mesa AZ USA. Reynolds Hall 361 Symphony Park Avenue Las Vegas NV USA. 211 W. San Francisco St. Santa Fe NM USA. 44 Charlton Street, New York, NY 10014. JLCO – Blood On The Fields, 8:00pm 60th St & Broadway, New York, NY 10023. 214 Sullivan St New York, NY 10012. 208 Cameron Avenue. CB# 3233 Chapel Hill NC USA. 1280 Peachtree Street NE, Atlanta, GA 30309. Ruby Diamond Auditorium Tallahassee FL USA. 707 Main Ave. Orange TX USA. 713 Congress Avenue Austin TX USA. Margot and Bill Winspear Opera House 2403 Flora Street Dallas TX USA. 178 Victoria Street Toronto ON. 2700 F Street NW Washington DC. 1 Avenue of the Arts Providence RI USA. Arts Mortensen Hall 166 Capitol Avenue Hartford CT 06106 USA. 20 Myrtle Street Portland ME USA. 2 East Wheelock Street Hanover, NH 03755 USA. 158 Bleecker St New York, 10012. 153 Main Street Burlington VT USA. 5515 Wilshire Blvd Los Angeles, CA 90036. JLCO – Lewis / Mulligan, 8:00pm 60th St & Broadway, New York, NY 10023. 254 W 54th St New York, NY 10019. 18 Whitwell Place, Brooklyn, New York 11215. JLCO – Holiday, 8:00pm 60th St & Broadway, New York, NY 10023. 100 East Main Street, Waterbury, CT 06702. JLCO – Best Of Blue Note, 8:00pm 60th St & Broadway, New York, NY 10023. JLCO – Jazz For Young People, 12:00pm 60th St & Broadway, New York, NY 10023. JLCO – Music of Coltrane, 8:00pm 60th St & Broadway, New York, NY 10023. JLCO – with Bobby McFerrin, 8:00pm 60th St & Broadway, New York, NY 10023. 384 New Hempstead Rd., New City NY, 10956. Chemin De La Sape 32230 Marciac. Wynton Marsalis’ Swing Symphony Feat. London Symphony Orchestra, conducted by Sir Simon Rattle, 7:30pm Barbican Centre Silk Street London EC2Y 8DS. Admission: £16.50. 32 Broad Street, Birmingham, B1 2EA, West Midlands, United Kingdom. 28, Boulevard Des Capucines – 75009 Paris, France. Admission: £34. Churchill Way Basingstoke RG21 7QR. Afro-Cuban Fiesta – Special guest Pedrito Martinez, 7:30pm Barbican Centre Silk Street London EC2Y 8DS. One Ridge Hill Boulevard, Yonkers, NY 10710. 60th St & Broadway, New York, NY 10023. 76 Main Street Westhampton Beach, NY 11978. Essentially Ellington UK, 10:00am Barbican Centre Silk Street London EC2Y 8DS. Abyssinian Mass – Feat. the Barbican Mass Choir. European Premiere, 7:30pm Barbican Centre Silk Street London EC2Y 8DS. Congo Sqaure – Feat. Yacub Addy and Odadaa. European Premiere, 7:30pm Barbican Centre Silk Street London EC2Y 8DS. 1065 6th Avenue New York, NY 10018. 15 Watts St, New York, NY 10013. 2271 Adam Clayton Powell Jr Bl, New York, NY 10030. 212 E 52nd St, New York, NY. JLCO – Gods Trombones & Inferno, 8:00pm 60th St & Broadway, New York, NY 10023. Feat: Dave Liebman on saxophone, 9:00pm 425 Lafayette Street New York, NY 10003. JLCO – Essentially Ellington, 8:00pm 132 West 65th Street New York, NY 10023. With Guest Natalie Cole, 8:00pm 220 South Michigan Avenue Chicago IL. –, 8:00pm 1 West Second Street, Dayton, Ohio 45402. One University Boulevard, St. Louis, MI 63121. JLCO – Concert with Paul Simon & Aaron Neville, 8:00pm 60th St & Broadway, New York, NY 10023. Performing music from Two Sides, One Story, 7:00pm Admission: $10. Box office: 724-452-9355. 122 Seneca School Rd. Harmony, PA 16037. JLCO – Big Band Hits, 8:00pm 60th St & Broadway, New York, NY 10023. 30 Second Street Troy NY. 301 Massachusetts Avenue Boston MA. 15 Livingston Ave. New Brunswick NJ. Eisenhower Auditorium Universtiy Park PA.
101 West Broad Street Greenville SC. 315 Hull Road Gainesville FL. 5833 Pelican Bay Blvd. Naples FL. 1010 North W.C. MacInnes Place Tampa FL. 1300 Biscayne Blvd. Miami FL. 999 Avenue H, NE Winter Haven FL. 701 Okeechobee Boulevard W. Palm Beach FL. 6 South Joachim St. Mobile, AL. 128 East Forsyth Street Jacksonville FL. 1200 Tenth Avenue South Birmingham AL. 216 E Broughton Street Savannah GA.
601 South College Road Wilmington NC. 1 University Place Newport News VA.
521 Lancaster Ave, Richmond, KY 40475. 825 North University Avenue Ann Arbor MI. JLCO – Stan Kenton, 8:00pm 60th St & Broadway, New York, NY 10023. 2012 Grammy After Party, 10:00pm 1201 South Figueroa Street Los Angeles, CA 90015. JLCO – Cachao, 8:00pm 60th St & Broadway, New York, NY 10023. NEA Jazz Masters, 8:00pm 60th St & Broadway, New York, NY 10023. JLCO Holiday, 8:00pm 60th St & Broadway, New York, NY 10023. Wynton Marsalis – Trpt, Elliot Mason – Trbn, Ted Nash – Alto, Joe Temperley – Bari, Ali Jackson – Drums, Carlos Henriquez – Bass, Dan Nimmer – Piano, 7:00pm 346 Madison Ave, New York, NY 10017. Jazz For Young People – Music of Ellington, 12:00pm 60th St & Broadway, New York, NY 10023. 1600 E. 18th Street, Kansas City, MO 64108. 12345 College Blvd Overland Park, KS 66210-129. Featuring: Kenny Wheeler, Ingrid Jensen, Jonathan Finlayson, Tony Kadleck – Trumpets, Elliot Mason – Trombone, Shelagh Abate – French Horn, Jennifer Wharton – Tuba, Kevin Hays – Piano, Matt Clohesy – Bass, Jon Wikan – Drums, 7:30pm Admission: $25. 116 East 27th Street, New York, NY 10010. Wynton Marsalis at 50, 8:00pm 60th St & Broadway, New York, NY 10023. 255 N Main St Memphis, TN. One University Place Plaza Springfield IL. 929 North Water Street Milwaukee WI. 1111 Nicollet Mall Minneapolis MN USA. 1601 Broadway Street Kansas City MO USA. 3648 Washington Blvd. St. Louis MO USA. 701 S Main St. Broken Arrow OK.
200 N. Broadway, Suite 102. 501 West Main St. Louisville KY USA. 355 West City Center Drive Carmel IN USA. 106 E. Front St. Traverse City MI USA. Bogue Street & Willson East Lansing MI USA. 198 Hill St. Akron OH USA. Featuring: Brad & Elliot Mason, Dave Kikoski – Piano, Boris Kozlov – Bass, Marko Djordjevic – Drums, 10:00pm 55 Christopher St, New York, NY 10014. 23 Blvd de Monrichet Marsielle France. Area Llva, Largo Cavallotti Follonica GR Italy. Piazza Marconi Atina FR Italy. Via Skylletion Rocceletta di Borgia CZ Italy. Viale Cristoforo Colombo, 120-122 Pescara Italy. Via Vittoriale, 12 Gardone Riviera Italy. Promenade du General Leclerc Sete France. Paseo de la Alameda, 30 Valencia Barcelona. 900 Strings Rd. Steamboat Springs CO USA. 6901 Wadsworth Boulevard Arvada, CO 80003. 9720 102 Avenue Edmonton ALB Canada. Smith St. & Granville St. Vancouver BC Canada. 805 Broughton Street Victoria BC Canada. 104 N. Commercial St. Bellingham WA USA. 307 Church Street Santa Cruz CA USA. 201 Van Ness Avenue San Francisco CA USA. One Shields Avenue Davis CA USA. 225 South Auburn Street Grass Valley CA. 1111 S. W. Broadway Portland OR USA. 555 Main Street Winnipeg, Manitoba Canada. 418 Sheridan Road HIghland Park IL USA. 5800 W. Friendly Ave. Greensboro NC USA. Prohibition and the Jazz Age, 8:00pm 60th St & Broadway, New York, NY 10023. 260 South Broad Street on the Avenue of the Arts Philadelphia PA USA. 17600 Quivira Road, Overland Park, KS 66062. The University of Kansas Lawrence, Kansas 66045. Masterclass & Concert in the evening, 6:00pm 1640 East 151st Street Olathe, KS 66062. 37-19 Broadway Ave Astoria, NY 11103. 141 East 48th Street New York, NY 10017. Jazz For Young People – What Is The Big Band Era?, 1:00pm 60th St & Broadway, New York, NY 10023. Featuring: Janek Gwizdala – Bass, Elliot Mason – Trombone, Brad Mason – Trumpet, Clarence Penn – Drums, Adam Rogers – Guitar, Dave Kikoski – Piano, Justin Vasquez – Alto Sax, 10:00pm 55 Christopher St, New York, NY 10014. Artist in Residence at MSU, 7:30pm 316 Music Practice Building, East Lansing, MI 48824. Music of Kurt Weill, 8:00pm 60th St & Broadway, New York, NY 10023. The Students Meet the Professors, 7:30pm 50 Arts Circle Drive, Evanston, IL 60208. 1 Donaghey Ave, Conway, AR 72035. 4505 Maryland Parkway, Las Vegas, NV 89154. 1020 E. University Blvd, Tucson, Arizona 85721. One East Main Street Mesa, AZ 85201. Grammy’s After Party, 10:00pm 1111 S. Figueroa Street, Los Angeles, CA 90015. Performing Wynton Marsalis’s ‘Swing Symphony’ with the LA Philharmonic, 2:00pm 111 South Grand Avenue, Los Angeles, CA 90012. Performing Wynton Marsalis’s ‘Swing Symphony’ with the LA Philharmonic, 8:00pm 111 South Grand Avenue, Los Angeles, CA 90012. 1 Route 46 West, Totowa, NJ 07512. 50 Mark West Springs Road, Santa Rosa, CA 95403.
featuring Chick Corea, 8:00pm 60th St & Broadway, New York, NY 10023. Featuring: Brad Mason-Trumpet, Paul Buono-Piano, Rich Zurkowski-Bass, Damon Grant-Percussion, 9:00pm 230 Mill St, Greenwich, CT 06830. Featuring: Brad Mason-Trumpet, Paul Buono-Piano, Rich Zurkowski-Bass, Damon Grant-Percussion, 8:00pm 230 Mill St, Greenwich, CT 06830.
featuring: Wynton Marsalis, Elliot Mason, Ali Jackson, Dan Nimmer, Walter Blanding, Ted Nash, Joe Temperley, Phillip Keuhn., 7:00pm 346 Madison Ave, New York, NY 10017. “Lighting of the Tree” LIVE on NBC, also featuring Kylie Minogue, Sheryl Crow & Josh Groban., 7:00pm 30 Rockefeller Plaza, New York, NY 10112. Performing Jessica’s christmas single “My Only Wish”, 11:35pm 1697 Broadway, New York, NY 10019. Performing “My Only Wish” & “Have Yourself A Merry Little Christmas” from Jessica’s new christmas CD, 8:00am 2 E 59th St, New York, NY 10153. I was captivated by their first CD Two Sides One Story and this record, let’s say, just takes it from where they left off and while maintaining that tradition, shows them both blossoming and breaking new ground and new perspectives.